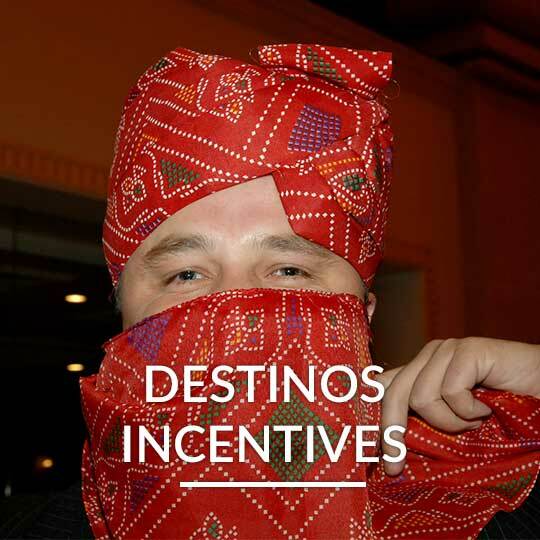 Destinos India (MICE) is the Strategic Business Unit of Destinos India - a complete Destination Management Company specializing in travel to Indian Sub - Continent. 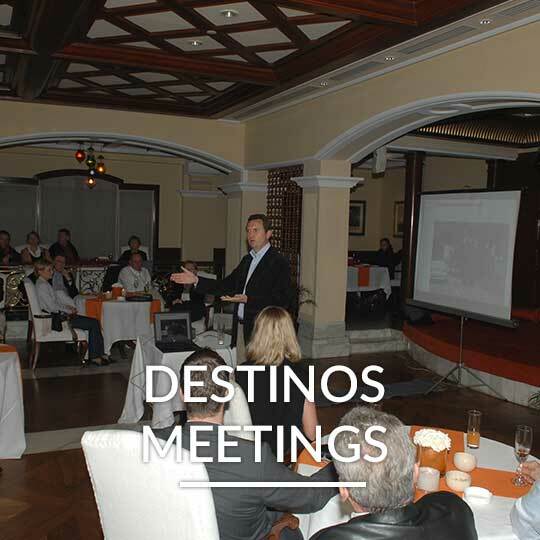 With headquarters in New Delhi, Destinos India (MICE) has a dedicated team of 30 travel professionals with extensive collective travel experience. The name and business strength that has been earned by our organization today, is due to the professionally equipped and able staff, who have a varied experience of the Indian sub-continent and good knowledge of serving the customers to their satisfaction. This is further enhanced by the innovative ideas of the management, who strive from time to time in creating awareness and keeping the company at par to the latest development of today's world. With innovation and excellence as mantras, an expertise spanning sectors, budget sizes, and industries; the well-knit motivated team of committed people having in-depth knowledge of the business who thrive on challenges; Destinos India (MICE) has carved a top position in the ranks of M.I.C.E. management organizations across the sub-continent. The team has vast experience of handling leading brands like BMW, Porsche, Audi, Mercedes, Volkswagen, Toyota, Pfizer , OVB, L’Oreal, Wella, Goodyear, Toshiba, GE Money, DHL , Tupperware and cruise liners like Azamara, Delphin Seereisen, Hapag-Lloyd, MS Amadea , Phoenix Reisen, SeaDream Yacht Club, TUI cruises and last but not the least Compagnie Du Ponant …among many others. 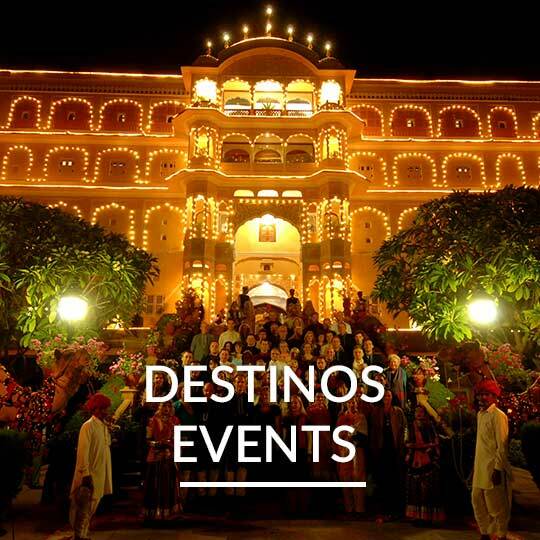 Destinos India - MICE is a full service corporate events management agency specializes in Inbound Incentives, Conferences, Corporate Meetings, VIP Delegations, Events, Weddings, Wellness groups, Special Interest groups, High End Luxury clients and offers high quality services throughout India, Nepal, Bhutan, Sri Lanka & Maldives. From sales conferences and award ceremonies to product launches and gala receptions, we provide the desired event while effectively conveying your company’s message.